Ever Wonder Where Your Fruits & Veggies Come From? Unless you have the space for your own garden or access to a local farmer’s market, your knowledge of your fruits and veggies origins goes as far as the shelf in the store. 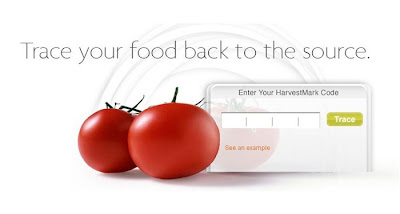 But a company called HarvestMark is changing all that. 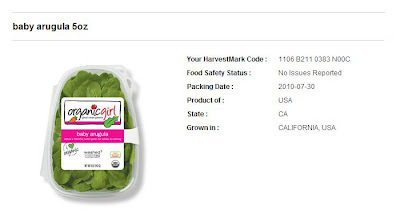 Select produce marked with a HarvestMark label will allow you to trace your fruits and veggies back to the farm they were grown. #3. Click “trace” and voila! 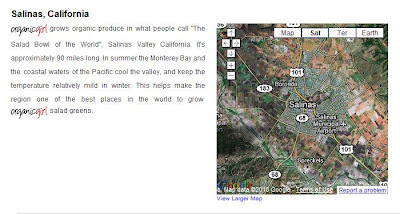 Not only can you find out where the product was grown but how it was grown, who it was grown by, and whether or not there are any safety concerns (for example a recall notice). This allows consumers to develop a direct connection with the grower so that they can learn more about the food’s quality and who they are supporting. What a great use of technology! There’s even a HarvestMark app for iphone users (I’ve got a Verizon Droid so unfortunately I couldn’t try it but I’m guessing it’s just as easy to use!). 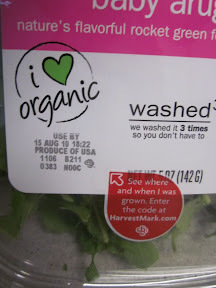 Keep an eye out for HarvestMark labels on your fruits and veggies in the grocery store and stay tuned for my new salad recipes inspired by organicgirl greens!